Author’s note: Though I mention my specific political leanings throughout this piece, my aim is to communicate my experience, not the politics. I took a Big Five personality test the other day. My most dominant trait was extraversion, which did not surprise me; I am a very talkative person. The next was something called openness to experience, which came as no surprise either. Before this year, I wouldn’t have known what openness as a trait even meant. By watching a few personality lectures online, however, I became well versed in something called the Big Five personality traits—conscientiousness, extraversion, agreeableness, neuroticism, and openness to experience. Those high in openness are willing to try new things and are curious about different perspectives. They enjoy exploring. Third Factor readers might link this trait to intellectual overexcitability. When I first heard openness to experience described as a trait, I took some time to reflect. Am I an open person? I certainly have strong opinions, but am I willing to change my mind if presented with a reasonable argument or clear evidence? After a quick survey of my life, particularly of my political leanings, I came to the conclusion that I was indeed quite open. The test only confirmed what I already knew. One of the questions on the test asked me whether I am “curious about many different things.” I wanted to click something that was a notch higher than “strongly agree.” I have a passion for such a variety of subjects, from ancient history (my forte) to evolutionary biology (not so much). Whether it is a subject I am strong or weak in makes no difference: I love to ask questions in areas that have piqued my interest. I grew up in a conservative Christian single parent home. My mother was an American immigrant who never became a Canadian citizen, which meant she could not vote in Canadian elections. She therefore never affiliated with any particular Canadian political party; however, her family were all Republicans. When I was old enough to ponder my own political leanings, I figured I was a conservative since we were conservative evangelical Christians. Elections would come and go, and I would hear teachers at school chat about the different parties (we have a number of parties in Canada, both at the provincial and at the federal level), but I would not put much thought into politics until I reached university. It was? I had always thought disagreement was negative and uncomfortable. As we went through those four years of school together, I found myself more and more open to questioning—and to disagreeing. I even found myself rethinking some long held assumptions. Through my newfound love of discourse, I began to see the political spectrum in a different light. I knew that Canada was a mixed economy, so admiring and moving towards a more socialist stance wasn’t much of a jump, although given my more conservative background, I suppose it will look like that to many. This move helped me to feel like I was forming my own opinions as an independent, thinking adult. This was important to me because I didn’t want to simply espouse the beliefs and ideas of my forbearers. It is so easy to believe what you are told without engaging that idea with critical thinking. I wanted to know I thought something because I had weighed the pros and cons, not because someone told me to think this way. It was my experience with Canada’s universal healthcare that caused me to truly appreciate the more socialist aspects of my country. My mother had battled cancer off and on for fifteen years. She lost this battle when I was newly married in November 2010. She was in treatment for metastasized breast cancer when she contracted an infection, which quickly spread throughout her body. She was immediately rushed to the hospital. We were given a room at the end of the hall so my sister, grandma, and aunts could easily congregate outside of her door. She was deteriorating quickly, and after one week, her oncologist said we should move her to hospice care. During this transition, the hospital took care of finding a hospice and transported her there. We were not required to do anything, which was a huge relief. We were free to focus on my mother instead of worrying about logistics. The hospice was brand new, located just outside of the city. It was fall, and there were wheat fields as far as the eye could see. It was tranquil and beautiful—everything a hospice should be. There were two guest rooms available for rent at $30 per night. My mom was there two weeks before she passed. I asked the staff how the hospice was funded and they told me it relied half on government subsidy with the rest coming in from donations. In the midst of this time of mourning, I felt so supported by my country’s healthcare system. During the last three weeks of my mother’s life, I did not need to worry about anything other than being there for her. My views were so scattered across the spectrum that I never felt that any party truly embodied them. The next few years were politically quiet. I had my first baby in 2012 and another in 2013. As you can imagine, I was busy; my boys were twenty-one months apart in age and I focused all of my mental energy on learning how to multitask. Then came the Alberta provincial election of 2015. This was the first time I saw political tests show up frequently in my Facebook newsfeed. These tests asked you about your policy preferences in a multiple choice format, and the results suggested which party fit your answers best. Thanks to one of these tests, I was delighted to discover a party from the 1980s with a new, revamped centrist platform called the Alberta Party. I hadn’t known what party really suited me, but I was still surprised that this party ranked as number one in my results. Yes, I was happy with socialized healthcare, and agreed with the legalization of gay marriage—I consider separation of church and state a must. However, I did have a few more conservative views, some old (I am pro-life; this stance will always move me towards the conservative side of the spectrum) and some new (I am in favor of government funding for private schools, since I wanted to send my children to the elementary I attended, which was a private school). My views were so scattered across the spectrum that I never felt that any party truly embodied them. Enter the Alberta Party. Though I was encouraged that a centrist party had been formed, I knew they did not stand a chance. They were a grassroots movement only advertising on social media. Though they were formed in the mid 80s, they were still small and relatively unknown. I liked this because it meant they were free to be concerned only with the future to prove themselves—they had no reputation to uphold, no prejudices to contend with. So despite the odds against them, I gave them my vote, and they won three seats in Alberta’s legislative assembly. The thing to note about this election is that the New Democratic Party (NDP) won for the first time in Alberta’s history, ending a forty-four year rule by the Progressive Conservatives. Though I was unsure about the NDP—they are the farthest left of all the parties—I was open to the idea that change was good, and if my province could go through a “régime change” after almost half a century, then anything seemed possible. The following year, 2016, I had one more baby. By this time, I had become quite adept at multitasking, so I was able to focus my mental faculties on examining my thoughts and stances once again. The NDP were not quite the saviors we were hoping for, though the western half of the country had already been experiencing an economic downturn, so it was not entirely their fault. At a friend’s engagement party that summer, I ended up chatting about this subject with her fiancé. I didn’t know him well, but I could tell he was going to be one of those “outside of the box” thinkers—the sort who bring interesting and new ideas to the table. He was not a fan of the NDP. I can’t recall the particulars of the conversation, but it came out that he believed that far less government regulation was the answer, not more. It wasn’t until later that I realized these were libertarian views. I had never met someone who held these views—at least, not in person. The picture—or rather, caricature—I’d had of a libertarian was a type of person who would own an underground bunker or live off grid. It was interesting to hear a political viewpoint that was brand new to me. I do not think that one system can answer all of society’s needs in practice. So I was—and am today—always on the lookout for answers that can fill in the gaps, so to speak. It was interesting to hear a political viewpoint that was brand new to me. I do not think that one system can answer all of society’s needs in practice. So I was—and am today—always on the lookout for answers that can fill in the gaps, so to speak. Once again, I was intrigued by this new perspective, though I had major reservations. We need government to run the country: otherwise, how would roads be paved? Who would pick up the garbage, or police the streets? Through more conversations, I would hear the libertarian perspective on these issue, which is that the private sector would take responsibility. But I couldn’t imagine that working in practice. I still had faith in government as the best solution managing the country’s infrastructure, safety and health needs. Over the course of 2017, my mind returned to these libertarian ideas. That’s when the city planted a number of medium sized trees beside our local hospital—only to remove them to make way for a new bus station project less than a year later. What a waste of money! Why would city planners not look ahead before they committed to a project using taxpayers’ dollars? When these thoughts were racing through my mind I realized something: this is what the libertarians are talking about! This sort of mismanagement of funds would tank a private corporation. This is why the libertarians would have private companies take on tasks now managed by the government: efficiency would be driven by competition. I was not quite converted, but paying attention on the local level made me understand why one would become a libertarian. As for me, I wouldn’t commit to one and one system alone as supreme above all. I didn’t think the private sector could account for those who needed a social safety net to survive. This deepened my belief in that “fill in the gaps” theory when it comes to government and the economy: where one system fails, the other can find a solution. Around that same time, I found a website called politicalcompass.org. At this site you could take a test that would reveal not only where you sit on the economic left/right spectrum, but also on the libertarian/authoritarian spectrum. My ranking came out as follows: economic left/right -2.5 (i.e., 2.5 points out of 10 toward the economic left), social libertarian/authoritarian -3.08 (i.e., 3.08 points out of 10 toward the libertarian end of the spectrum). I was not surprised with the economic results; my social score, however, surprised me slightly. I suppose those libertarian discussions had more of an influence on me than I realized. Upon further reflection, I had been listening to podcasts with a variety of political perspectives and discussions during this time, and I felt myself agreeing that the government should perhaps not be so involved in regulating what its citizens can and cannot do—as long as no one is harmed, of course. At the same time, I still retained my stance on socialized healthcare and agree there must be a social safety net for those in need; hence my moderate position on the spectrum. Until the past few weeks, I had settled with the notion that I will never find a political party at the federal level (the Alberta Party being provincial only) that would fully represent my views. Though I liked the freedom brought by a more moderate view, at election time I always felt that none of the parties accurately represented someone like me. This was until I discovered that a new party was forming and looking for founding members. It is a right-of-center party called the People’s Party of Canada, headed by a former member of the Conservative Party who left because of party corruption. The formation of a more moderate party at the federal level gives me hope that there are a number of Canadians who are open to question through discussion and debate—and who are looking for a voice. I no longer feel politically homeless and look forward to connecting with these open-minded people. My journey towards finding a political niche has been full of twists and turns, and though I do not neatly fit in the box of any one ideology, I’ve come to the conclusion that this is not necessarily a bad thing. In fact, I think it is a very good thing. I thoroughly enjoy hearing new ideas that challenge my way of thinking, and if I had not engaged in discussions with people who saw things differently than I did, I would not have refined my opinions and stances—which in some cases changed my way of thinking. The statement my friend made all those years ago—that it’s okay to disagree with people—ultimately affected me deeply, because it let me embrace my personality trait of openness to experience. This has shaped how I approach difficult conversations. I stop and ask myself: how did they come up with their position? How can I understand where they are coming from? Understanding why someone believes what they believe can make almost any disagreement bearable—at least for me, as a highly open person. I also realized that I had subconsciously believed that that disagreeing with someone’s views meant that you didn’t like them as a person. This, however, is not the way rational discourse is supposed to work. This has become the key for me: a person’s character is not determined by their opinion on a particular topic. When engaging in a discussion or even a heated debate, I remember that this person has value. The essence of their character emerges from a complex tapestry of traits, experiences, and opinions. Who am I to judge them as not worth hearing out simply because I disagree with them? Ultimately we are all exercising our freedom to think—and to express those thoughts. Who knows what you can learn from someone with whom you disagree? Perhaps, like me, it will be that it is okay to disagree in the first place. 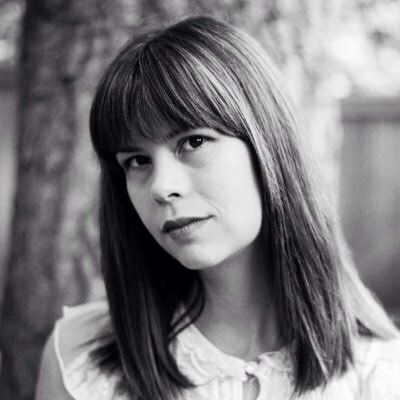 Andrea Lynn is a writer from Alberta, Canada who is dedicated to seeking truth through intelligent discourse and fresh perspectives. She is a mother of three boys who show her how to find the wonder in life and to take things a lot less seriously. You can follow her on Twitter at @theother_95.